Selections from the lowest-carb study diet. WASHINGTON, D.C. – An antidepressant commonly prescribed for women with postpartum depression may restore connections between cells in brain regions that are negatively affected by chronic stress during pregnancy, new research suggests. Ohio State University scientists found that rats that had been chronically stressed during pregnancy showed depressive-like behaviors after giving birth, and structures in certain areas of their brains were less complex than in unstressed rats. After receiving the drug for three weeks, these rats had no depressive symptoms and neurons in their brains showed normal structural complexity. The antidepressant is Citalopram, an agent from the class of drugs known as selective serotonin reuptake inhibitors that is sold under the brand name Celexa. 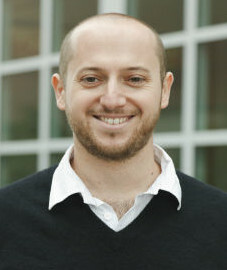 “We saw that Citalopram was effective in improving mood in stressed mothers and completely reversed the stress effects in areas of the brain that our lab has shown are altered by stress during pregnancy,” said lead author Achikam Haim, a student in the Neuroscience Graduate Studies Program at Ohio State. Haim presented the research Wednesday (Nov. 19) at Neuroscience 2014, the annual meeting of the Society for Neuroscience. While clinical signs of postpartum depression are clear, researchers are still figuring out what happens in the brain when mothers suffer this devastating problem. Benedetta Leuner, assistant professor of psychology and neuroscience at Ohio State and senior author of the work, has designed a rat model of postpartum depression to help explain brain changes. Her lab induces depressive-like symptoms in rats by subjecting the animals to chronic stress during pregnancy – chronic stress in pregnancy is a known predictor of postpartum depression in humans. As parents, the rats show symptoms that resemble those in humans with postpartum depression – they are unable to experience pleasure, indicating a condition called anhedonia, and float more than unstressed rats during a water test; animals that float rather than swim are showing depressive-like symptoms. Along with mood changes, depressed mothers – humans and animals – show deficits in caregiving behaviors. The current work aims to identify brain changes that may underlie these symptoms and focuses on a region called the nucleus accumbens, which regulates feelings of reward and motivation. The scientists found that the reward center in the brains of stressed rats had fewer dendritic spines – hair-like growths on brain cells that are used to exchange information with other neurons – than did brains of unstressed rats. This is a sign of reduced plasticity, which refers to the brain’s flexibility or ability to adapt. This finding mirrors research in humans that revealed that the reward center in mothers with postpartum depression failed to activate in response to audio of their infants crying. “The structural data from our work in rats can at least partially explain that, because neurons with fewer spines, and therefore less input, arguably have lower activation levels,” Haim said. The researchers implanted mini-pumps under the skin of mother rats with depressive-like symptoms to administer daily doses of Citalopram for three weeks. After treatment, in addition to the brain changes, the rats responded normally during a water test by swimming vigorously. The typical three-week time frame for antidepressants to become effective suggests these medications are not sufficient, however, to address a potentially more urgent component of postpartum depression: poor maternal care. A depressed mother’s neglect can have long-term effects on children that include slowed cognitive and social development and increased susceptibility to depression in adulthood. This work is supported by a grant from the National Institute of Mental Health. Additional co-authors on the presentation are technician Christopher Albin-Brooks and undergraduate students Morgan Sherer and Emily Mills, all of Ohio State’s Department of Psychology.